The Sueltenfuss Library empowers members of the OLLU Community to pursue wisdom in a dynamic and complex information environment by fostering inquiry, discovery, and learning through quality resources. The Sueltenfuss Library will transform its traditional library services and collections to an omnipresent, integrated knowledge resource that engages students and faculty in 21st century learning and scholarship. In September 2000, University President Sally Mahoney dedicated the Sueltenfuss Library in honor of Sister Elizabeth Anne Sueltenfuss, the fourth president of Our Lady of the Lake University. 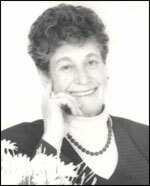 Sister Sueltenfuss, President Emerita, had a long and distinguished association with the University. She became a student at the then Our Lady of the Lake College in 1937 and received her BA from the University in 1944. In 1963, she received her PhD in microbiology from Notre Dame. She entered the convent of the Sisters of Divine Providence in 1937. After teaching in high schools in Oklahoma and Louisiana, she became a member of the University faculty in 1949 with a teaching career in the sciences. In 1978, she became President of the University. Her impressive tenure as president was marked by educational leadership, by the creation of a weekend college for non-traditional students, and by the construction of several new buildings. An active leader in the San Antonio community, she generously contributed her time and effort to a wide variety of civic and educational institutions, serving at one time as an active member of 35 organizations. She assumed major leadership roles in educational endeavors which addressed educational concerns with inadequate school completion and performance rates of poor and minority students. Sister Sueltenfuss created the In Libris Veritas capital campaign which funded the construction of the library. A list of the library's donors can be found here. Sister Sueltenfuss retired from Our Lady of the Lake University in 1997. She passed away on December 19, 2009 at the age of 88. Jesse Trevino made his mark in the art world as the first Mexican American to exhibit at the Smithsonian, but long before the rest of the world grew to love his work, Our Lady of the Lake University had great appreciation for his masterful art. He was originally from Mexico and moved to San Antonio when he was young. He served this country in the Vietnam War and tragically lost his right hand during battle. Though for some this loss may have ended their hopes and dreams of becoming a famous artist, Jesse didn’t let his physical disabilities deter him. After a recuperative period, Jesse came to Our Lady of the Lake University to explore his options as an artist and complete his bachelor’s degree in art. Jesse has attributed his learning to paint with his left hand to Sisters Tharsilla Fuchs and Ethel Marie Corne. During his studies here, he completed the 100 foot mural “La Historia Chicana”. It was the first of his grand works with his left hand, painted on the walls of the popular student union (now the bookstore). Jesse’s pride of the West Side, San Antonio, and Our Lady of the Lake University is evident in the composition that depicts Mexican-American history, flowing seamlessly from one generation to the next. As Jesse’s fame grew and his status as an international artist elevated, so too did the prominence of his mural here at the university. In 1981, it was relocated from the student union to the St. Florence Library reading room. During the design phase of the Sueltenfuss Library in the 90’s, architectural detail was intentionally made for the purpose of exhibiting this mural in the best possible light. Today “La Historia Chicana” has a prominent place on the second floor of the Sueltenfuss Library where it is available for all to enjoy. Likewise, Jesse Trevino has a special place in the heart of Our Lady of the Lake University and was awarded an honorary doctorate for his lifetime artistic achievements. Both originals and reproductions of his work may be found throughout campus buildings.